Size: 9" IN LENGTH APPROX. Being a well-renowned entity, we are engaged in providing a distinguished range of Horn Hair Comb. Our company has set benchmark in providing Fancy Hair Comb. 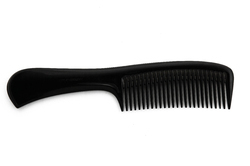 Relying on our expertise in this domain, we are into offering Plastic Hair Comb. It is made up of acacia wood and fully made by hand. - Product Weight: 12 gram. - Product Size: 17.5 x 3.5cm. Gemini Plastic 3 Star Comb, For Etc. Gemini Multi Color Alpha Comb, For Etc. 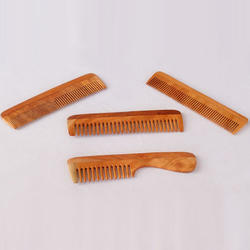 We are the leading manufacture supplier exporter of Wooden Comb and Each teeth of the comb is rounded in such a manner that it massages the scalp. It is widely known for its durability and quality. We offer our range at market leading prices. These Horn Hair Combs are finely designed by our skilled team of workers. The Horn Hair Combs are usually made from the horns of buffaloes and camels. The detailed work on these Horn Hair Combs makes them all the more attractive..